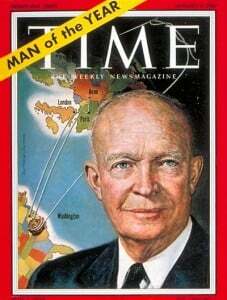 In 1961, President Eisenhower, after two terms in office did what no other president could have. During his farewell address, he warned the government and the nation of the threat that an unchecked military-industrial complex presented to the country as a whole. He was a soldier, who had seen intimately the meteoric rise of the defense industry during WWI and WWII. He was a General, who had depended on that industrial machine to power the Allies victory in Europe. The Cold war and its proxy war in Korea had sustained and multiplied again the defense industry’s expansion. 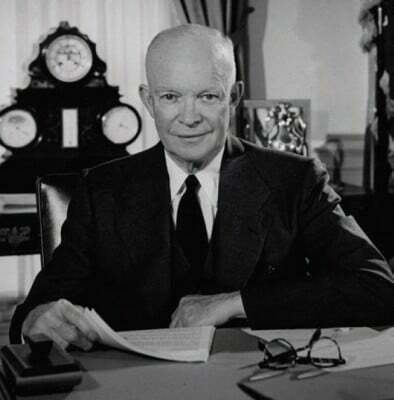 Yet Eisenhower, perhaps in foresight of what would become a 10 year war in Vietnam, lamented the future danger of collusion between the military, government, and war profiteers. This holy trinity of power has proven to do nothing less than vault an imperial US to greater heights of hubris while producing more weapons for war than any other nation on earth, ever. He saw the threat that would become the permanent war economy and exposed the problem. Eisenhower’s words seemed prophetic at the time but were largely dismissed. Now those words are a mere understatement to the full truth and extent of the danger. How could he have imagined the huge war machine that the entire country has become? How could he have foreseen that the United States (US) would become the largest supplier of arms and suffering in the world? After the lukewarm reporting in Vietnam of the atrocities and realities of a guerilla war and the US government’s insistence on continuing a war it couldn’t win, the media outlets went through a sea change. This experience in Vietnam would lead directly to the weak media that US citizens have come to accept. The government gagged the press and the current instant media has evolved into a war cheerleader. Today the neo-liberal and neo-con media outlets have evolved into a mere propaganda machine which works to justify each conflict. The huge, corporate media conglomerates reluctantly report on even the most obvious US wars (Afghanistan and Iraq). They aid and abet the criminal activities of the military and security agencies. They work as salesmen for the producers of weapons used against foreign and domestic enemies of the imperial state. The US economy and its weaknesses, dominated by weapon production, has become more than even Eisenhower could have imagined—a perpetual war economy and a constant threat to the world. If you adhere to the idea that the US Congress must exercise its constitutional duty to approve engagement in a war then that would mean we are involved in no wars. The last war approved by Congress was WWII. Since then the power to send our troops into battle has evolved into an imperial right of the presidency. The Congress meekly, quietly, votes to simply support the president’s decision to send our troops into battle. For Congress, it has become more a function of lessening their involvement, obfuscating their vote and managing their reelection. For the presidency and the Pentagon it has become a limitless financial power to reach across the globe and use lethal force instantly. Any attempt at diplomatic engagement and political solutions are staged as mere media events to justify the use of force. This is good business for the US Government, the military-industrial complex, and possibly your neighbor. Over 2.48 million jobs are directly created by the major defense contractors. Forty seven of the top one hundred grossing companies in the world are defense contractors in the US. At the top of this list is Lockheed Martin which grosses arms sales of more than 35 billion dollars while employing 132,000 workers. Currently, they are in production of the F-35 fighter jet which has been beset with problems and has of yet not proven reliable. Yet the US government is paying 769 million dollars each for at least 51 of these next generation aircraft. This does not include the thousands of jobs created on the wide periphery of the industry which create specialized parts or the minutiae of a soldier’s kit. Nor does this include the highly classified and blacked out budgets for nuclear weapons production and maintenance. The weapons or military production industry has seen exponential growth since 2001. The US government is reaching into the stratosphere and spending nearly a trillion dollars a year on the “defense” industry. We may never know the full amount of defense spending since Congress simply keeps voting to increase spending. Meanwhile the black budgets for spy agencies and covert actions are classified and are simply not counted in the whole. Also the US supplies 44% of the total weapon and military sales to foreign countries and paramilitaries around the world. In the highly improbable event that peace were to break out across the world, the US would lose so much of its much of its production capacity and jobs at home that we would face a domestic and worldwide depression that would affect billions of workers and families. Indeed, the US has so little non-defense heavy and light industry that creation of jobs to replace the loss to workers would require a return to the depression era government creation of jobs. Ironically, this is what we need in the first place—infrastructure repair and development, transportation development, environmental clean-up and protection, and housing construction. The perpetual war economy that supports our military of over 2.3 million soldiers, around 3 million domestic civilian employees, and countless employees in multiple countries has become not only a symptom of perpetual war. It has become a necessity and a survival strategy for the state which loops around and feeds the necessity for wars. It’s a circular and deadly political economy where war creates jobs, which creates weapons, which creates conflict. The US is stuck in this economic cycle much like the British empire had been with the industrial revolution into the turn of the century and like the Nazi state in Germany from the 1900’s to the 1940’s. There is no easy answer to this problem. Regardless of who is in the Whitehouse, he or she will have inherited this machine and most likely profited from its excesses in the form of monetary election support. Also, the Congress is inundated with political support and money from the hundreds of military and weapon concerns. The Military-industrial complex just keeps rolling along creating the necessity for war, filling the necessity for jobs, and ultimately profiting from the suffering of billions around the world.